One year ago this weekend, Lee and I had our very first camping adventure here at Swanzey Lake Campground. It’s been an amazing year so I thought I would take a second and recap what we have done. If you looking for the full read…check out the Key Moments tab. In one week we decided to buy a camper, found one, bought it, and had our first camping experience. Last summer we went camping over 13 weekends and visited 9 states. We saw our daughter in Wisconsin, went to the ocean in Maine, and saw the Olympic village in Lake Placid…just to mention a few highlights. What we knew by the end of the summer was that we love camping and being together just the two of us. The summer allowed us to reconnect to one another. At the end of the summer we decided we wanted more (including longer trips and more boon docking), so we went to Hershey RV show for two days and found the perfect 5th wheel for us. We ordered a new truck, ordered the new 5th wheel and endured a VERY long winter waiting to get out there again. Finally the 5th wheel came and we attended an amazing rally and met so many other people who are as passionate about camping as we are. So it’s been a year and we sit in the same site (this time as a seasonal) grateful for the many gifts last year brought us. Because we are selling our house and getting our last child to graduate HS we intentionally picked a campground 20 minutes from the house. I am going to wait a few more weekends before I compare seasonal camping to going to different sites. One thing I can say is whether you are moving around or staying put camping is a really great way to spend the weekend. Because I have been traveling so much, I absolutely had to go into town this morning and run some errands and I went from super relaxes to stressed in no time at all. The lights and noise in a super store are jarring after the stillness of the campsite. Everyone waves in the campground…no waves out in the “real world” plus I saw some pretty rude behavior in a couple of stores you just don’t see in the campground. It’s funny because these are the same people who live in town but there is something about nature that seems to bring out the best in people. So how do I feel after a year…pretty darn awesome about the whole thing 🙂 It just gets better and better and I can’t wait to see what happens next. One of the really fun parts of camping for me is trying out new recipes. Cooking was a chore with three kids but now I can really explore different foods and God love Lee for being willing to eat just about anything. So this weekend I had menus that were all new items. Most of them were a bust unfortunately…either didn’t taste that great or waaay more trouble than it was worth, but I did discover two winners and have listed the recipes below. It’s a lot of fun even if the experiments don’t turn out that great and it’s a good way to kill time on a rainy day. I love old cookbooks and found the following in one of the church cookbooks that people put out as fundraisers. 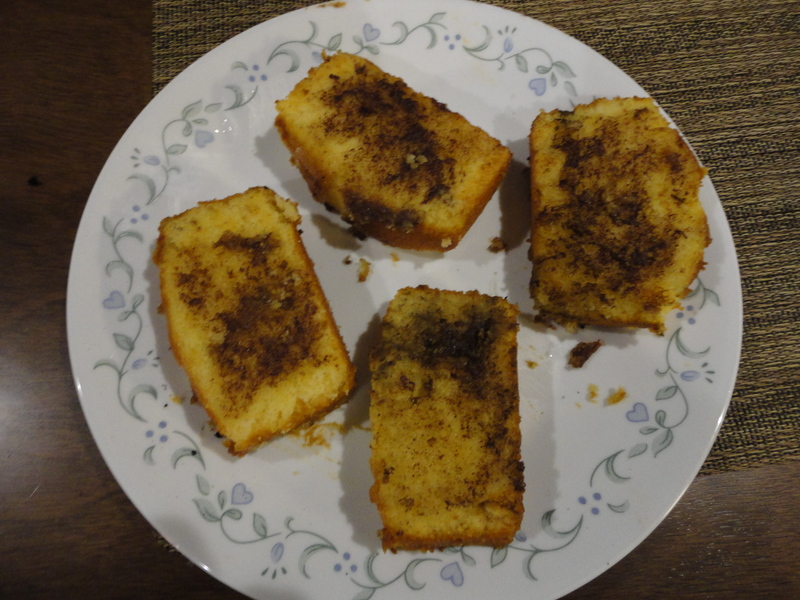 The recipe was written by Ruth Arledge and I thought I would pass it along. 1. Take love and loyalty, mix it thoroughly with faith. Steam snow pea pods for 3 minutes. If you have a steamer for the microwave this works well. 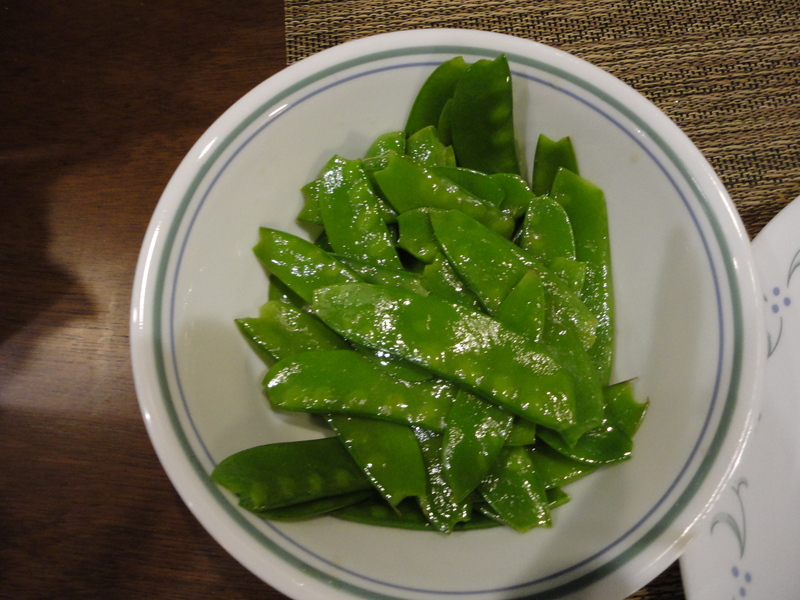 If you don’t have a steamer, blanch the snow pea pods in water for 1-2 minutes until bright green. Drain peas and pat dry. Simple to make and REALLY good. 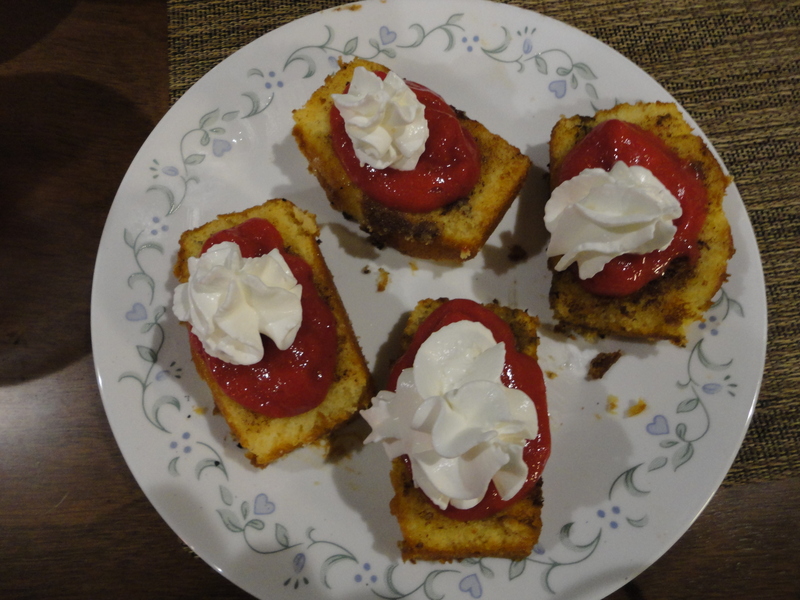 The grilled cinnamon flavor goes great with the strawberries and the bread has a little crunch. This entry was posted in Uncategorized and tagged newbie campers, rookie campers, Swanzey Lake Campground. Bookmark the permalink. Happy Anniversary Trace! Look how far you’ve come! Winding down the homestretch! Good Luck with the home sale. Ours goes on the market this week. I am so tired of packing/moving/dumping/hauling!